One of the residential developments by Manglam Build Developers, Manglam Aqua Grandiosa offers 1BHK and 2BHK apartments. It is located in Arpora, Goa and is equipped with every modern facility to facilitate the needs of the buyer. Floor Plan: 740 - 1127 Sq. Ft.
Manglam Aqua Grandiosa brings in a number of facilities for an enhanced lifestyle like a club house, swimming pool, landscape garden, paved compounds, and play area for kids, park, reserved parking, and advanced security system. Goa is growing as a city of difference. The city that attracts thousands of international tourists every year is now gearing up for latest developments in the real estate sector. The market that was aggravated before due to slow economy and high loan lending rates is now picking up. The markets are dominated equally by the end users and the investors. Where is Manglam Aqua Grandiosa located? The project is located in Arpora, North Goa. What is the area of apartments in Manglam Aqua Grandiosa? The area of apartments offered in the project ranges from 740.0 sqft to 1127.0 sqft. 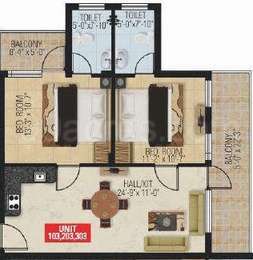 What is total area of 1 bhk in Manglam Aqua Grandiosa? 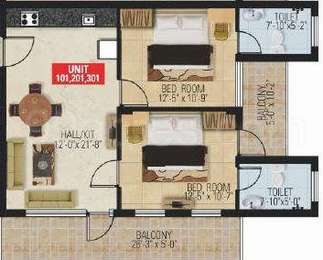 1 BHK unit in the project are available in an area of 740.0 sqft. 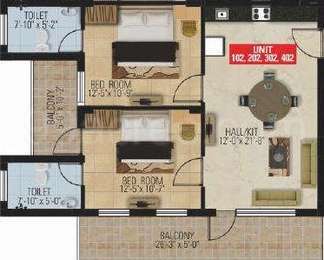 What is the area of 2 bhk in Manglam Aqua Grandiosa? The size of a 2BHK unit in the project ranges from 1036.0 sqft to 1127.0 sqft. How many towers are there in Manglam Aqua Grandiosa? There are 1 towers in the project, which offer a total of 40 housing units. Does Manglam Aqua Grandiosa have cricket pitch? The project doesn't offer a cricket pitch. atisfaction beyond comparison to its millions of satisfied customers. Setting international standards through their works, every project of Mangalam Group is a symbol of precision and upholds a perfect combination of functionalities and aesthetics. Exhibiting the utmost in infrastructure, architecture and design - Mangalam builders have went on to develop residential and commercial real estate projects and also industrial townships. Hi, how is Arpora, North Goa area from investment point of view. I want to know about Manglam's Aqua Grandiosa by Manglam Build Developers Ltd. project details. Can I get some updates ?